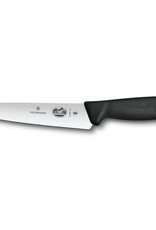 Smooth cuts every time: that’s the promise the Fibrox Kitchen Knife makes. This reliable kitchen tool will stand up to everything laid out before it on the cutting board. 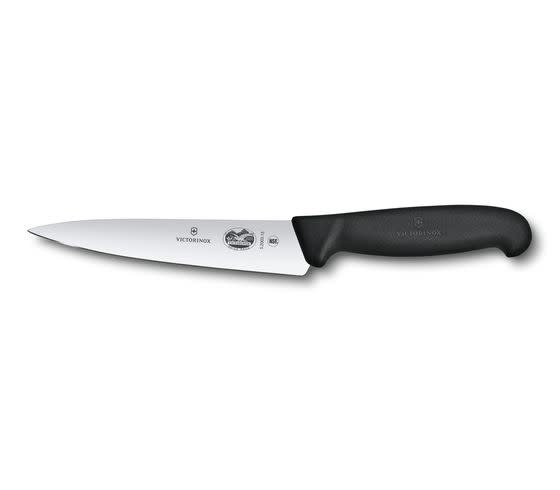 A thin, sharp, 15 cm blade combines with balanced design and an ergonomic handle to deliver supreme comfort and controlled, precise, consistent cuts to everything from meat to vegetables through to fruit of all sizes. Though made for the home kitchen, our Fibrox line is professional in character, meaning it’s as sought after by chefs as by cooks, to conquer any kitchen challenge, no matter the size.